Money laundering is a serious offense that the federal government often investigates in conjunction other alleged criminal activity. This can mean the potential for significant financial penalties and decades behind bars. To build and execute a successful defense strategy, you need a team of experienced criminal defense attorneys on your side. If you or your business is under investigation for money laundering, you need to protect yourself. Money laundering is a serious federal offense; if you are convicted, you could face up to 20 years in prison and potentially millions of dollars in financial penalties. But, an investigation does not have to lead to a conviction, and the best thing you can do to help protect your finances and your freedom is to put an experienced legal team to work for you. At the Oberheiden, P.C., we bring decades of experience both in the federal government and in private practice to defending individuals and companies in money laundering investigations nationwide. We understand what is at stake; and, as our record shows, we know how to effectively defend clients in federal investigations. If you are under investigation, you don’t have time to waste. Contact our offices to get started with a free criminal defense evaluation today. 1. Learn Everything You Need to Know about the Government’s Investigation. Did so knowing that the money or property involved was obtained through unlawful means. A “financial transaction” can include a wire transfer, transfers of funds by other means, transferring title to a piece of property (such as a car, boat, or piece of real estate), using a credit card or other instrument, or using an interstate bank. As you can see, the federal definition of money laundering is extremely broad. However, as we discuss below, there are defenses available. Knowing which defenses you can use will require a thorough understanding of the unique circumstances involved in your case, as well as the specific allegations behind the government’s investigation. The Racketeer Influenced and Corrupt Organizations Act (RICO) is a federal statute that federal prosecutors frequently use to bring charges against individuals suspected of involvement in a “corrupt organization.” Under RICO, you can be held criminally responsible for the acts of other members of the organization – even if you do not participate in them directly. If you are being investigated for money laundering, there is a good chance that the government may be considering bringing RICO charges against you as well. Why am I Under Investigation for Money Laundering? Which Federal Agencies Investigate Money Laundering? Federal investigations frequently involve personnel from multiple agencies, and knowing which agencies are involved in your investigation will be critical to developing a sound defense strategy. Have I Been Charged with a Crime? If you are still under investigation, you have not yet been charged with a federal offense. The government is in the process of collecting evidence to build a case against you; and, if it finds enough evidence suggesting that you have been involved in a crime, then it will bring charges against you. By hiring a legal defense team now, you can intervene in the government’s investigation and work to avoid facing federal charges. 2. Understand the Defenses You May Have Available. Lack of Intent. One way the government can prove its case against you is by demonstrating that you had the requisite “intent” to establish criminal culpability. This can be either: (i) intent to carry on or promote an unlawful activity, or (ii) intent to engage in tax evasion or tax fraud. If you can raise enough questions about your intent to commit the offense, this can prevent the investigation from turning into a prosecution. Lack of Knowledge. Alternatively, the government can obtain a conviction by showing that you either (i) knew that a transaction was designed to conceal the source of illegally obtained money or property, or (ii) knew that a transaction was designed to avoid reporting requirements. If you did not know that you were engaging in a transaction that could be characterized as money laundering, this lack of knowledge is a defense to liability. 3. Choose an Experienced Federal Criminal Defense Lawyer to Represent You. Should I Hire a Lawyer During the Investigation? Absolutely. Your alternative is to wait until the government files charges against you, and this is a scenario that you want to avoid if at all possible. By the time you find out that you are under investigation, the government could easily have already dedicated weeks, if not months, to your case. To level the playing field, you need to intervene as soon as possible, and you need a team of defense lawyers who have the experience and resources necessary to effectively deal with federal agents and prosecutors on your behalf. In a federal money laundering investigation, relevant experience is essential. You need a federal defense lawyer – or, preferably, a team of lawyers – who can attack the government’s investigation from all angles and build a comprehensive defense strategy that employs proven techniques for preventing governmental investigations from leading to criminal charges. 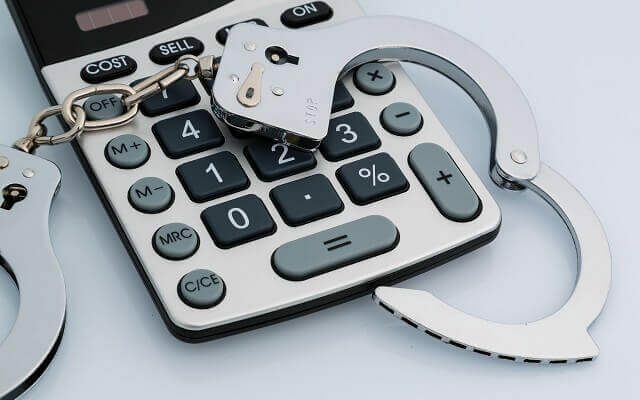 If you choose an inexperienced defense lawyer or a lawyer who lacks the government contacts necessary to quickly intervene in your investigation, you simply won’t be giving yourself the best possible chance to avoid financial penalties and incarceration. What sets Oberheiden, P.C. Apart from Other Federal Criminal Defense Firms? Oberheiden, P.C. is a team of experienced criminal defense attorneys and former federal prosecutors who have extensive experience on both sides of federal investigations. Many of our lawyers have prior careers in the U.S. Attorney’s Office, and all members of our firm have proven track records of helping clients avoid having their federal investigations turn into federal charges. Dr. Nick Oberheiden – Principal Partner and Founder of Oberheiden, P.C. Lynette Byrd – Senior Counsel and Former Federal Prosecutor. At Oberheiden, P.C., we take a unique team approach to defending our clients in federal investigations. As a result, when you choose us to represent you, you will have the full benefit of each of our federal healthcare defense attorneys’ impressive credentials and deep legal insights on your side. Schedule a Free Criminal Defense Evaluation at Oberheiden, P.C. To get started, contact Oberheiden, P.C. to schedule an appointment with our team of experienced criminal defense attorneys and former federal prosecutors. We are available to represent you, and we can take action quickly to minimize the consequences of your federal money laundering investigation. For a free, confidential case review, call (800) 701-7249 or submit your case online today.